Power Pro-Tech Services Acquires Sure-Gen Power Systems in North Carolina | PowerSecure Service, a wholly-owned indirect subsidiary of PowerSecure, Inc.
We are pleased to announce that Power Pro-Tech Services (PPT) has acquired Sure-Gen Power Systems (Sure-Gen), a leading generator service company headquartered in Winnabow, NC, with service across the Carolinas and Eastern Tennessee. 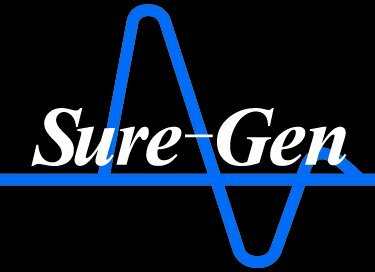 Sure-Gen was founded nearly 15 years ago by Travis White with a singular focus on Customer Service. 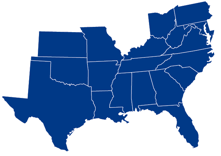 As a result of the acquisition, the Winnabow office will now become the Carolina Regional office for PPT, increasing PPT’s Carolina Region Technician count to over 15. To minimize any market confusion, the Sure-Gen name will be retired and all regional operations will continue as Power Pro-Tech Services. “It is a great pleasure to welcome Travis and the entire Sure-Gen team to Power Pro-Tech Services” said Robert J. Byrne, President & CEO of PPT. “We are dedicated to continuing to offer Sure-Gen’s customers the exceptional quality service that has been the hallmark of Sure-Gen since its inception. With the entire Sure-Gen team staying on, and with the additional resources that we bring to the combination, we expect to accelerate our growth throughout the Carolina Region”. Power Pro-Tech Services is uniquely capable of servicing Customers’ multi-city and multi-state needs, as well as providing unparalleled Disaster Response and Recovery services when hurricanes and other natural disasters strike. Additionally, as a licensed Electrical Contractor, PPT is able to provide full turn-key installations of generator, switchgear, UPS and other power-related systems.